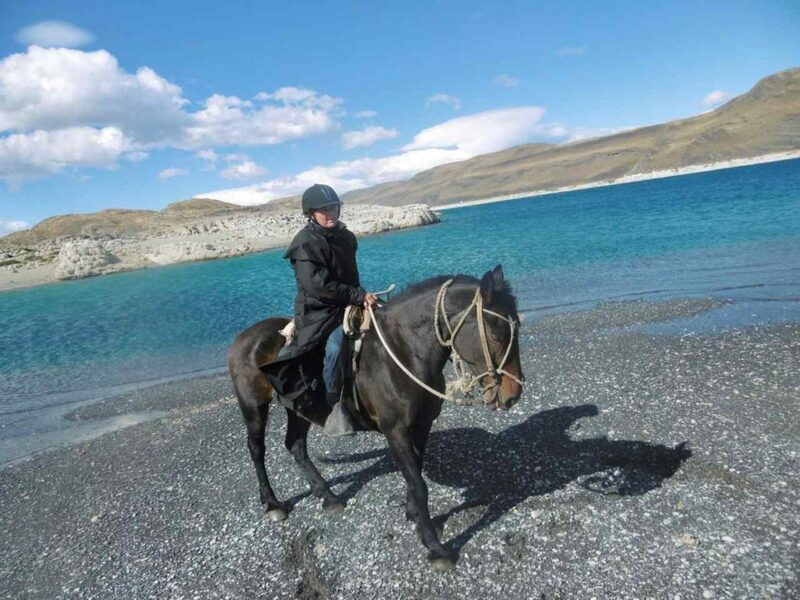 Megan Laver seems to have the globetrotting bug, first completing our ride through Mongolia, followed by Torres del Paine in Chile. And she doesn’t plan on stopping with just two! Read about her passion for seeing the world from horseback below. I work with my husband Steve on our property – drenching, mustering, fencing etc. We run 7,000 ewes and 3,100 wethers, and some dairy heifers. They have taken me on some incredible and interesting journeys in life. Riding around the neighbourhood as a young girl, and having to ride 8kms to go to Pony Club! Beauty – a black stubborn mare! It has taken me on some incredibly journeys i.e. seeing the world from the back of a horse. Also, enjoying the highs and lows of watching my daughters grow up riding. To accept that things don’t always go the way you thought they might. An article I saw about Mongolia and then discovering the Globetrotting website in a magazine. What globetrotting rides have you since completed? A ride in Chile – Torres del Paine – amazing country and people. Galloping along the beach of a beautiful blue lake in Torres del Paine. Coming across the blue lake set against the brown coloured hills was absolutely incredible – like an inland sea! I would also like to add that we have met some great people along the way, whether it be guides, wranglers, fellow riders etc. Why choose this type of travel? As in, exploring a new country from the back of a horse? It’s the only way to see the countryside in its natural state. You end up in places a tourist bus would never be able to go. What is your favourite safari horse of all time? A grey horse in Patagonia – very forward moving! A tip that every globetrotter should know before going on a ride? Open your mind and be respectful of other people/cultures/horsemanship.